The Israeli settler killed by a Palestinian youth in the southern occupied West Bank yesterday was a well-known far-right Israel advocate. Ari Fuld, who lived in the illegal Efrat settlement, was a central committee member of far-right political party National Union, reported the Jerusalem Post, which ran in the last election as a group within coalition partner Jewish Home. Ari’s brother, Eytan, is spokesperson for National Union and Jewish Home MK Bezalel Smotrich. Fuld, who immigrated to Israel from the US, laid out his views in a number of articles over the years, as well as in TV appearances and on his personal YouTube channel. 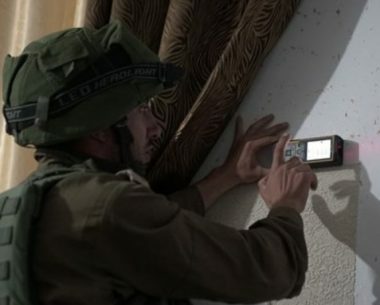 In August 2017, Fuld uploaded a clip of him harassing and shouting at Palestinian human rights defender Issa Amro in Hebron, who he described as a “Muslim provocateur”. Fuld believed that Palestine was “a fabricated national claim”, and that Palestinians have no claim to any of the occupied West Bank, which he urged Israel to formally annex in its entirety. In two blog posts in 2016, Fuld advocated that Israel should offer “three choices for our enemies”: “accept Israel as the Jewish country”, “leave”, or “meet the IDF [Israeli military]”. This is similar to a proposal formally approved by the National Union party in September 2017, based around a “surrender-or-transfer ultimatum” for the Palestinians. Ari Fuld was eulogised by US Ambassador David Friedman, a long-time support of the West Bank settlement enterprise, who said he “represented the best of both countries [US and Israel]”. Prime Minister Benjamin Netanyahu, meanwhile, hailed Fuld as “an advocate for Israel who fought to spread the truth about Israel”. Israeli Defence Minister Avigdor Lieberman yesterday rejected an Israeli army discussion of establishing a committee to see whether life sentences issued against Palestinian prisoners should be reduced, Yedioth Ahronoth reported. “As long as I am the defence minister, no terrorist will have his sentence shortened by even one hour,” Lieberman announced on Twitter. All Palestinians who stand up against the occupation, including children who protests, are referred to as “terrorists” by Israeli officials. Israeli Prime Minister Benjamin Netanyahu also voiced out his rejection to the proposal that sentences be reduced. “Regarding the talk about shortening terrorists’ sentences—I strongly oppose this. I know that this is also the position of the defence minister and, therefore, it will not happen,” he was quoted by the Israeli news website Ynet News as saying. The Israeli media has reported that an official order is expected to be issued to establish a committee that will examine parole requests for Palestinian prisoners who are serving life terms imposed by military courts in the occupied West Bank. Yedioth Ahronoth reported that, if established, the committee would discuss the possibility to equating military life sentences, which are 99 years, with the civil life terms. Fifteen-thousand ultra-Orthodox Jews visited Hebron’s Ibrahimi Mosque yesterday ahead of the Jewish holiday of Yom Kippur. 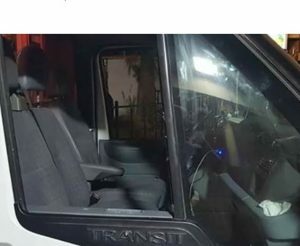 The thousands of Haredim were accompanied by Israeli occupation forces, with occupation forces saying they “provided increased security for the event, guarded the prayer and allowed it to take place safely, with no irregular incidents,” the Times of Israel reported. The number marked an increase on 2017 figures, with an additional 5,000 Haredim in attendance. Situated in Hebron, in the south of the occupied West Bank, the Ibrahimi Mosque is believed to be the burial place of the Prophet Abraham. It is known by Jews as the Cave of the Patriarchs. In August, Israeli forces closed the Ibrahimi Mosque to Muslim worshippers in preparation for the upcoming Jewish holidays, banning the call to prayer for 24 hours. Fatah called the closure a crime against the Palestinian people and their right to access their holy places, as well as a violation of international conventions. This was not the first time that Israel restricted Muslim worship at the Ibrahimi Mosque. In July it emerged that Israel prohibited the Muslim call to prayer 298 times in the first half of 2018. Palestinian Religious Endowments Minister, Yousef Adais, said that “the immorality and violations of Jewish settlers have also crossed the line – so much so that they organised parties with music until midnight inside the Ibrahimi Mosque”. Israel regularly works to increase its Jewish presence in Hebron. In September it emerged that Israel plans to spend 3.5 million shekels ($1 million) of unpaid UNESCO money to develop Jewish heritage sites in the city. The decision was seen as a “direct response to a 2017 UNESCO decision to inscribe Hebron’s Old Town and the Cave of the Patriarchs [the Ibrahimi Mosque] onto the list of endangered World Heritage sites under the State of Palestine”. In addition to those Haredim visiting Hebron yesterday, thousands of Jews travelled to pray at Joseph’s Tomb in Nablus, in the north of the occupied West Bank. At least ten Palestinians were injured by Israeli occupation forces who accompanied the worshippers today, according to Wafa. 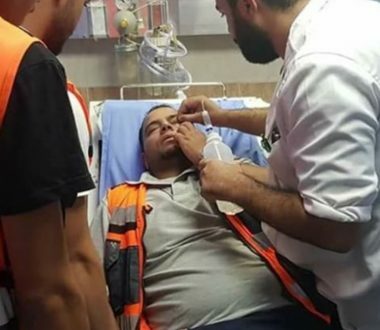 The Israeli soldiers fired rubber-coated metal bullets and tear gas at Palestinians and three were taken to Nablus’ Rafidya hospital for treatment. Yom Kippur, otherwise known as the Day of Atonement, is an annual Jewish holiday that follows the Jewish Rosh Hashana (New Year) celebrations. In 1973, the Yom Kippur War broke out between Israel, Syria and Egypt and has since come to be seen as a defeat within Israeli domestic circles. The war led to the 1978 Camp David Accords and the signing of a peace deal between Israel and Egypt, as well as Israel’s withdrawal from the Sinai Peninsula which it had occupied since 1967. In an attempt to break his strike, IPS denied Sheikh Adnan from his basic human needs and personnel belonging. He was also subjected to night raids. Activists in occupied Palestine, who were disappointed with speeches made by Palestinian Authority President Mahmoud Abbas at the UN General Assembly, decided to address the international organisation by their own. In a statement issued by the organisers of the social media campaign, it was pointed out that the action is being launched from the Gaza Strip, which has been under an Israeli-led siege for the past 12 years. They hope to highlight the suffering of the Palestinians in the territory. Moreover, the activists took the opportunity to remind UN delegates that Israel’s occupation authorities impose restrictions on the entry of construction materials used to rebuild infrastructure and homes destroyed by Israeli attacks on Gaza. After launching the campaign, the moderator of the Twitter storm, Mohammad Ridwan, was accompanied by a number of other young activists when he handed a message to the Deputy of the Office of the UN Special Coordinator for the Middle East Peace Process in Gaza, Gernot Sauer. “I will pass this message to the headquarters of the UN and will do my best to pass it to the UN General Assembly,” Sauer told the delegation. “We are working day and night on solving the Gaza crises, including the deteriorating political, economic and social situation.” The UN official hailed the youths’ campaign to send their messages to the world. HEBRON (Ma’an) — The Israeli Civil Administration announced an expansion plan of the illegal Israeli settlement of Tina Omarim in the town of Dahriyeh, in the southern occupied West Bank district of Hebron.A Palestinian research center, Land Research Center, released a report on Monday showing that the Israeli Civil Administration have published a detailed plan that would change the classification of the Palestinian-owned land from agricultural into urban, in order to justify expanding the illegal Israeli settlement.The report said that the plan would lead to the seizure of 260 dunums (64 acres) of Palestinian-owned land in the al-Thahriyeh town. The data shows that in the second quarter of 2018, Israel began the construction of 794 new settlement housing units, compared to 279 in the first quarter of the year.In the first half of 2018, the construction of 1,073 housing units was launched in the settlements, compared to 818 in the second half of 2017.The report added that the plan would include the construction of around 150 housing units, the establishment of public institutions, public parks, streets and parking lots. Israel’s policy of expanding settlements and outposts has been escalating recently due to the United States President Donald Trump approving three times more the amount of settlement units than that which was approved in the year and half before his inauguration. 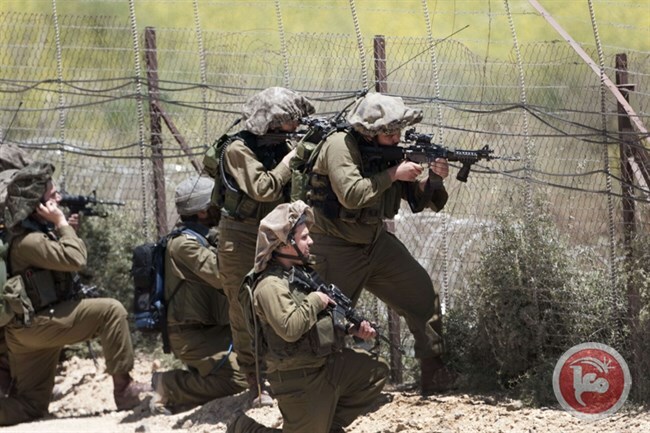 GAZA CITY (Ma’an) — Israeli forces opened fire, on Monday morning, towards Palestinian farmers east of Khan Younis in southern besieged Gaza Strip. A Ma’an reporter said that Israeli military observation towers opened fire as Palestinian farmers were working in their lands. Farmers were forced to evacuate the area in fear for their lives. Meanwhile, several Israeli bulldozers entered into the “buffer zone” alongside the southern Gaza border and razed lands. 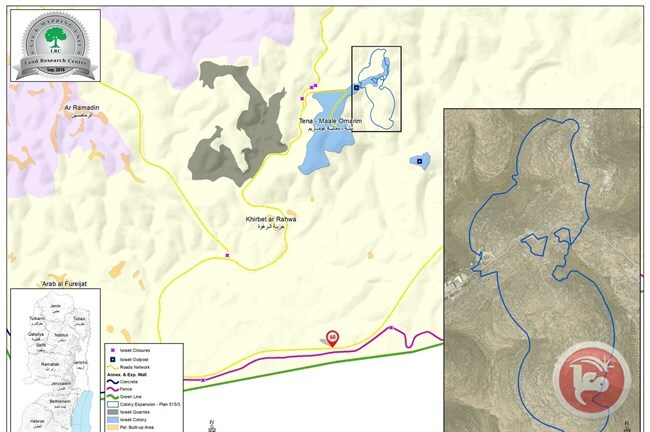 Witnesses said that four D-9 Israeli military bulldozers entered dozens of meters into lands near the “return camps” and razed and leveled lands as drones flew overhead. Israeli military incursions inside the besieged Gaza Strip and near the “buffer zone,” which lies on both land and sea sides of Gaza, have long been a near-daily occurrence.The Israeli army also regularly detains and opens fire on unarmed Palestinian fishermen, shepherds, and farmers along the border areas if they approach the buffer zone, as the authorities have not made clear the precise area of the designated zone.The practice has in effect destroyed much of the agricultural and fishing sector of the blockaded coastal enclave, which has been under an Israeli air, land, and sea blockade for nearly 12 years.